[Japan] Movie Tie-in Mewtwo Distribution now live for Pokémon: Let’s Go, Pikachu! & Pokémon: Let’s Go, Eevee! As a movie tie-in to Mewtwo Strikes Back EVOLUTION, those who pre-order a ticket to see the film, will be able to receive a very special serial code, which can be used in the Pokémon: Let’s Go games, to receive a Lv 70. Mewtwo. 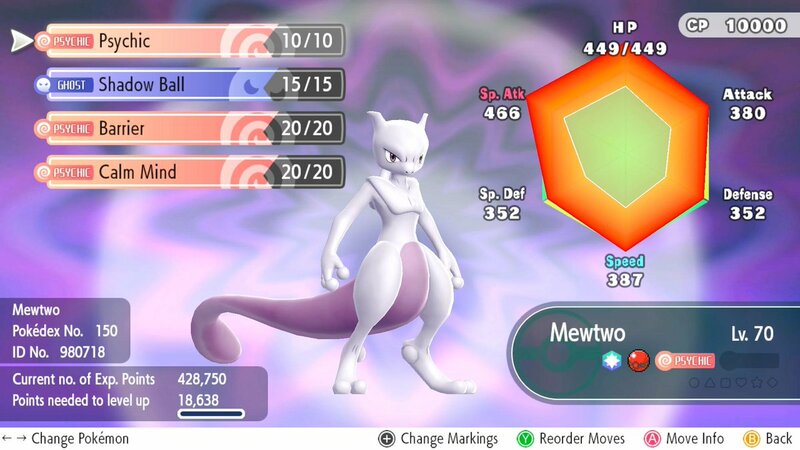 From information provided by Serebii and Joe Merrick, this particular Mewtwo comes in a Cherish Ball, doesn’t have a hold item and its nature is Quiet. Mewtwo also knows the moves Psychic, Shadow Ball, Barrier and Calm Mind. Additionally, the code for this Mewtwo is not region locked, so provided you’re able to purchase a ticket yourself, or have someone do it for you, you will have no issues using the code in-game. The pre-order gift of a serial code for Mewtwo is only available from today (April 12) to July 12, 2019. The code can not be redeemed after September 30, 2019.